The essential artistic freedom is the right to create unburdened by pressures to perform, produce or succeed. 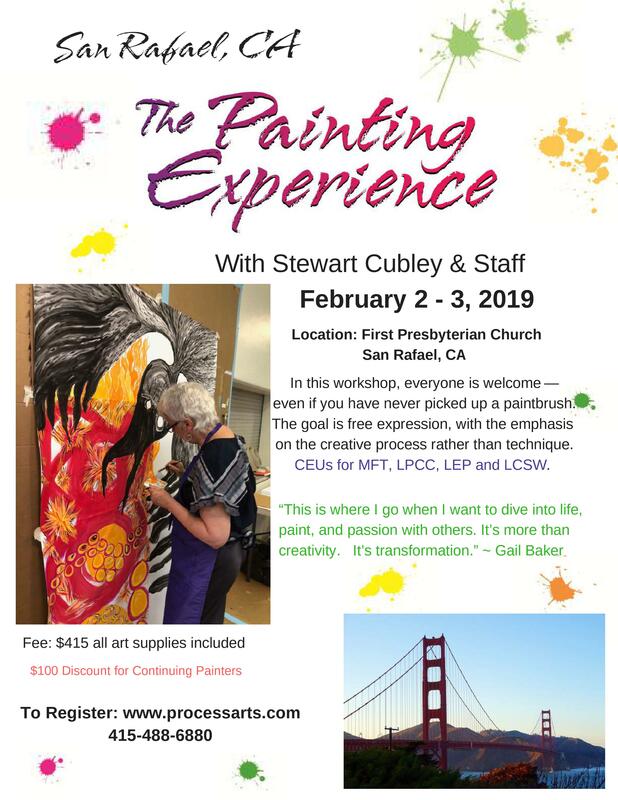 Join Stewart Cubley & Staff for this transformational weekend of process painting in a safe atmosphere that genuinely honors and respects individual differences without competition or comparison. San Rafael is a sunny town about half an hour north of San Francisco, just across the Golden Gate Bridge. The painting studio is located downtown, with nearby parking and easy access to a variety of restaurants and accommodations. 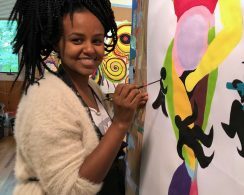 Tuition: $415 ~ Your tuition includes all art materials, over 12 hours of facilitated painting sessions, group discussion circles in supportive community, a video presentation about creativity and the practice of art as process. 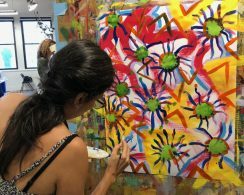 Continuing Participants: If you’ve attended a Painting Experience workshop in the past, you’ll receive a $100 tuition discount. MFT, LCSW, LPCC and LEP by the California Board of Behavioral Therapy. You will receive a full refund minus a 25% handling fee if you cancel earlier than two weeks before the workshop. After that, your payment is nonrefundable and nontransferable. 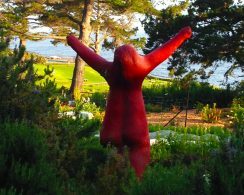 The San Francisco Bay Area is the home base of The Painting Experience, where it all began over forty years ago. Learn more about the history of The Painting Experience in this two-part episode of our podcast: Trusting the Wild Self -- Stewart Cubley’s Story, Parts 1 and 2.